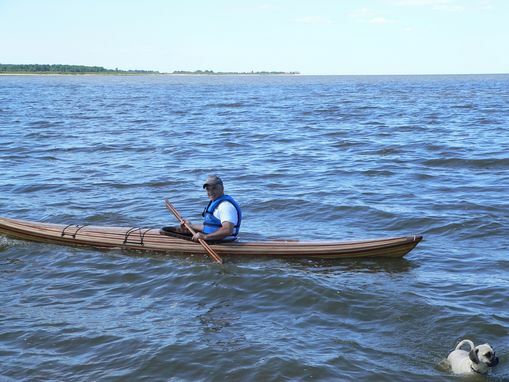 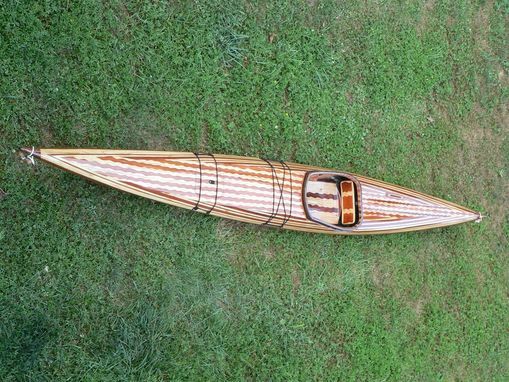 Completely hand built kayak. Cedar, paulownia, mahogany, cherry. 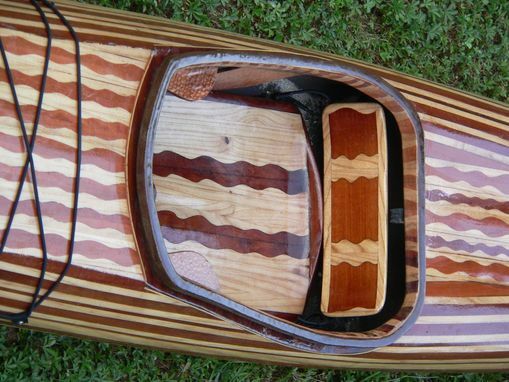 Petrel pattern from Guillemot Kayaks.